I don’t think this show will explain much politics- it’s just a kids show with a random pilot character. The character won’t do much and go on random fun side adventures. This isn’t going to be the media that finally explains the complicated politics for the diehard fans. I watched the teaser and, well, it wasn’t very good. 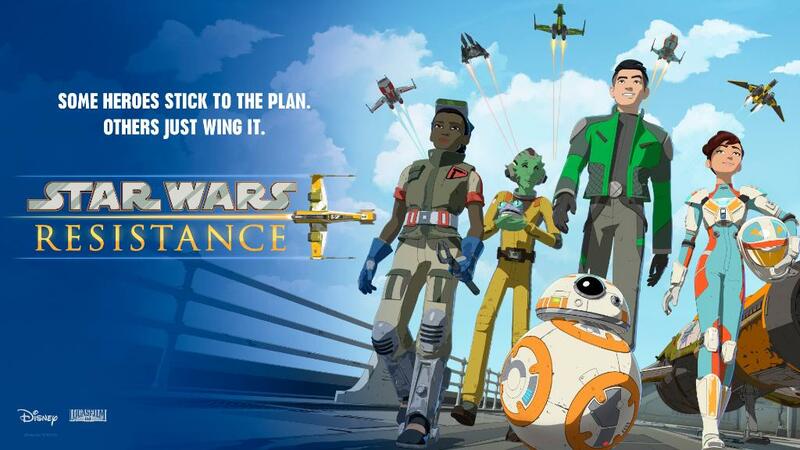 But, it doesn’t look like I’m the target demographic, I’m sure kids will love this show just as I loved The Clone Wars when I was younger (I can’t believe that show came out ten years ago, time flies). It actually reminded me of a bunch of cheap looking Canadian shows that would air on the cartoon channel where I live, which I used to watch around eight years ago. Overall, I think I’ll skip this. It unfortunately does look cheap. Love or hate The Clone Wars style, many episodes were as visually lush as any of the films. Love or hate Clone Wars, George Lucas was practically burning money to make it possible. Towards the end, the show was running at a loss. Without Lucas’s passion and endless wealth, they had tone things down. That would explain why the Droids and Ewoks cartoons sport better animation than most other Saturday Morning shows of the mid 80’s. Did they really? 80s cartoons must’ve looked really really bad then. The mid '80s seems to be when animation for TV started to improve. Look at most anything made before then, and you’ll spot a lot of choppy/recycled animation. Depends on the studio and the project. Filmation did some shows with great animation like Flash Gordon. Mid 80’s was also when American studios began to farm their animation out overseas as well to cut costs. Filmation was about the only studio keeping things mostly in house. I haven’t seen much 80s animation, given I wasn’t born yet, and haven’t seen and reason to visit the era of cartoons based on toys. By far the worst I’ve seen for stock footage was the godawful first season of Code Lyoko (an otherwise great show), and that was from the 00s. New Poster! Standard format version of the one above. I gotta say, this series is looking better all the time. I guess this premiered last night? 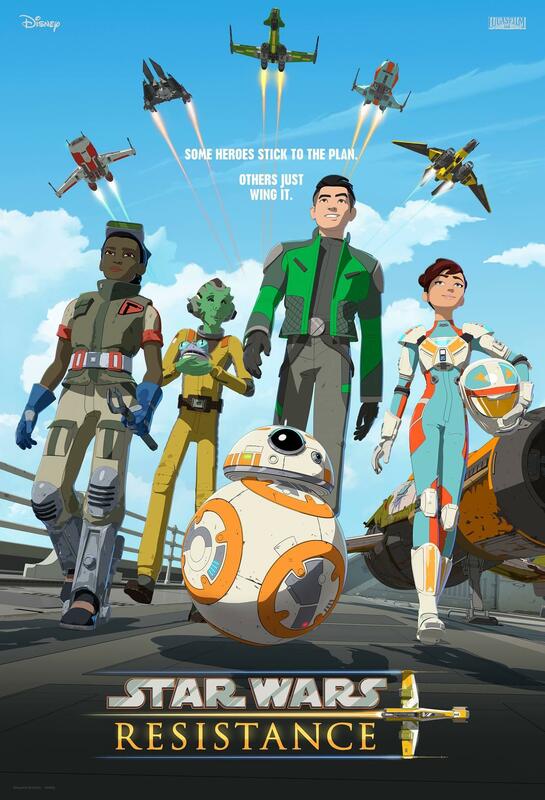 I don’t have Disney XD, but I was always able to keep up with Rebels by buying a season pass on Amazon. I can’t seem to find that option anywhere for Resistance, though. Does anyone know if that’s coming, or am I going to need to find another solution? It premieres tonight on the Disney Channel before switching over to XD for the rest of the season. I’d recommend checking again Monday for the season pass. For anyone with access to XD, it looks like the first three episodes are available to watch online.